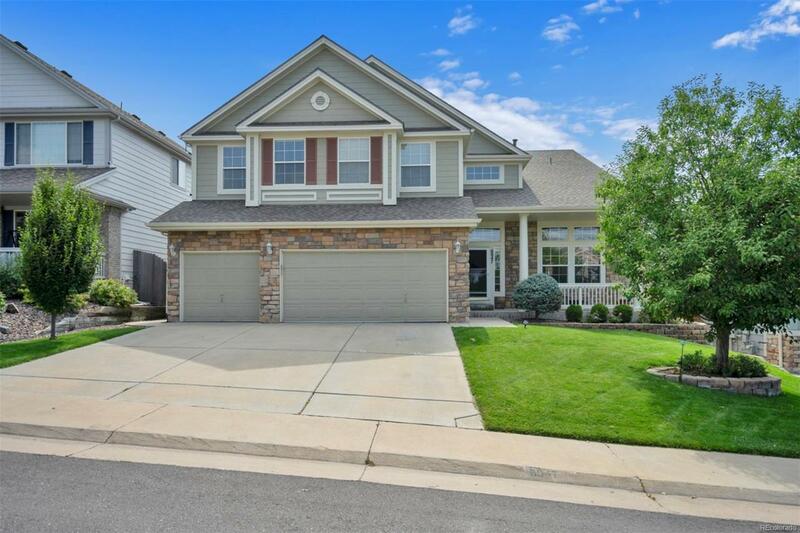 This Cherry Creek School District home is located near Southlands, is an entertainers delight! This home is located on a gentle slope with beautiful views and a large backyard. The home includes a multi-purpose finished basement that can be used as an entertainment area or additional living space with its own private entrance. This beautiful 4 bedroom home is located in the peaceful community that offers 2 additional bonus rooms in the basement & 4.5 baths! I have listed a couple features that you might like; Remodeled kitchen, large deck, quartz counter tops, stainless steel appliances, large island with cooktop and seating area, open concept family room with vaulted ceilings, gas fireplace, wired for surround sound, a very nice sun room for plants or a simple relaxation room to read, a private office with french doors on the main floor, large master bedroom with a 5 piece bath that has a sizeable walk-in closet, and 3 sizable bedrooms upstairs and 2 baths, one as an en-suite.